Played on here as a kid we called it the " Loco"
This is Aberdour St off Railway St.I lived with my family at 4 Aberdour St until I was 7. There was a small corner shop opposite run by an old lady called Beatty. The Albion pub was at no. 2 and looks much larger than I remember it. I was friends with the Landlords son called Billy, they moved to Ashton Rd to open a shop before we moved away in 1967. I attended Peacock St School nearby and can remember the Beyer Peacocks hooter sounding. I used to play on the bird cage walkway with my elder sister. 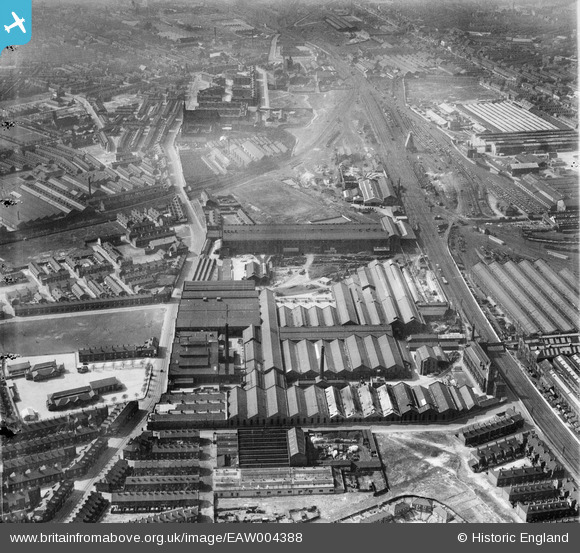 This large building was the Tender workshop, the Boiler workshop and the Boiler Mounting Workshop. The building still stands in 2013. Here is a photo of the inside taken in 2010- it is in use as a store by the Council.